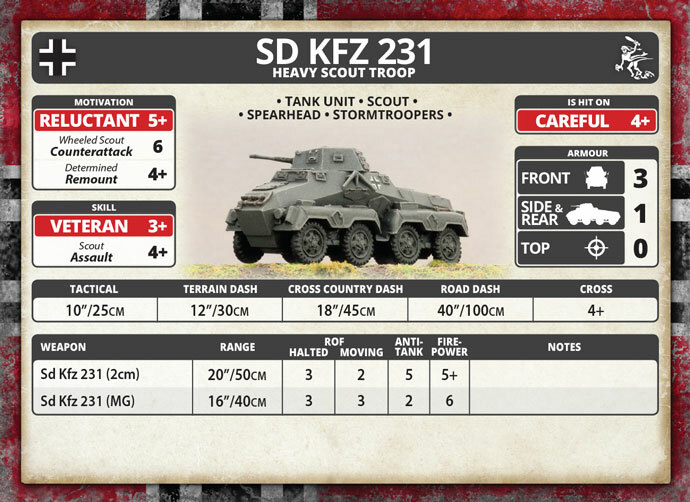 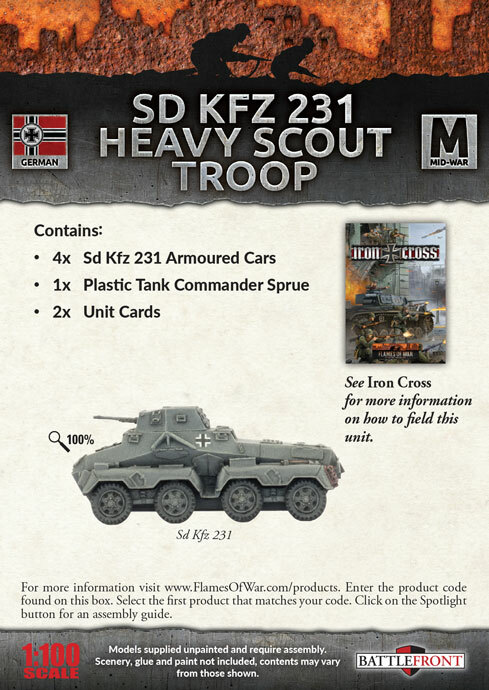 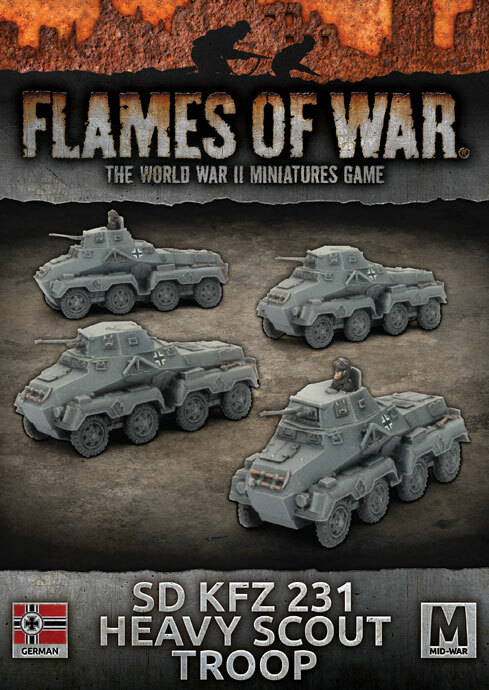 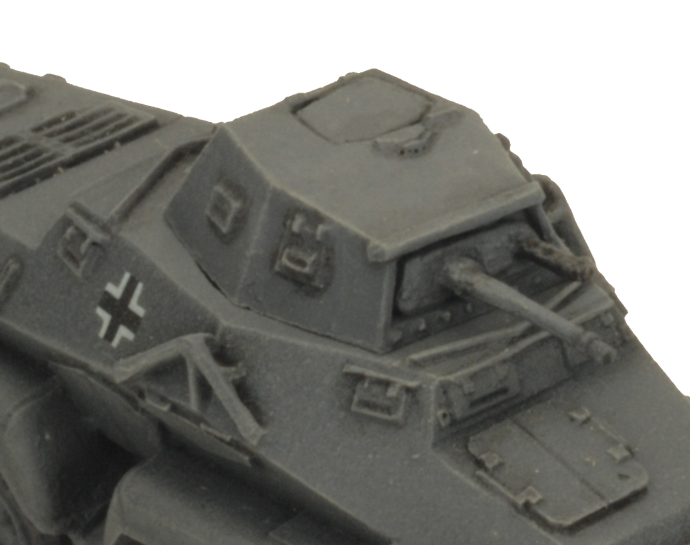 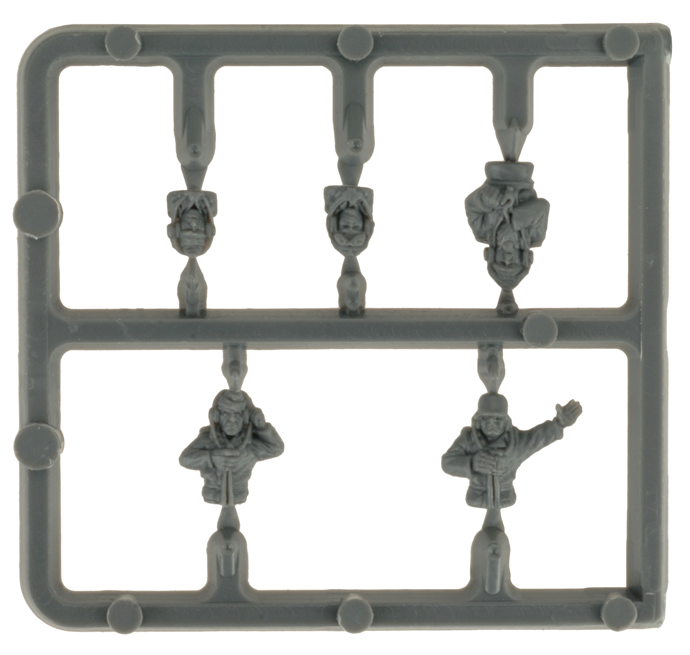 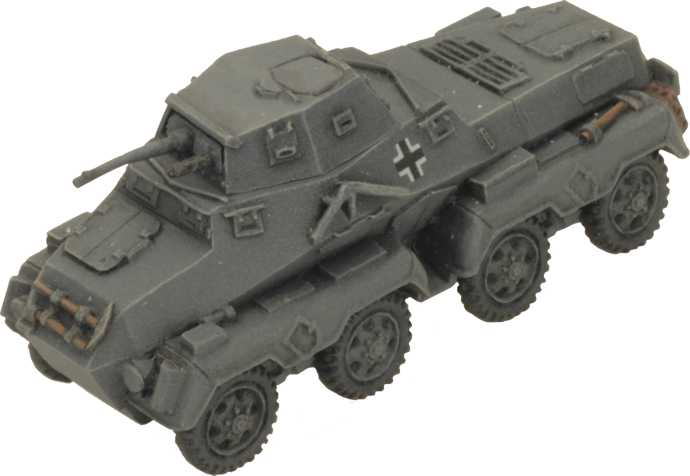 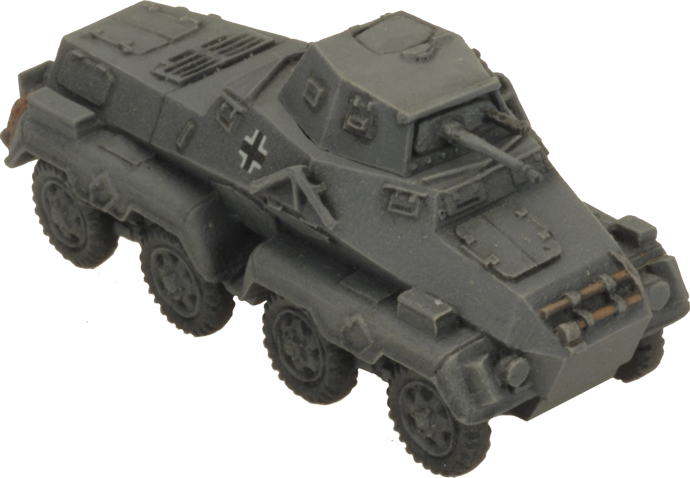 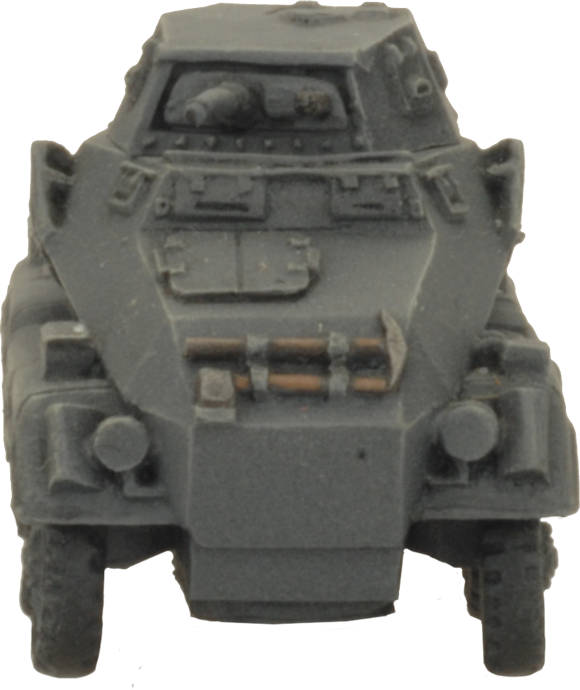 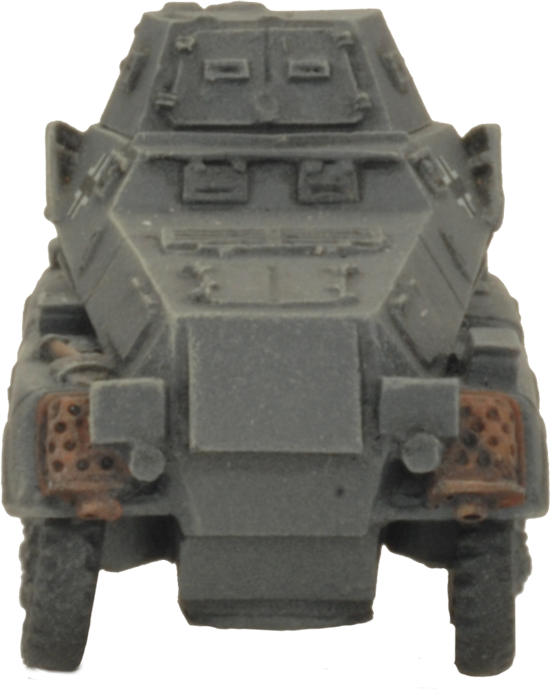 includes four resin and metal Sd Kfz 231 Heavy Scout Armoured Cars, one plastic Commander sprue and two Unit cards. 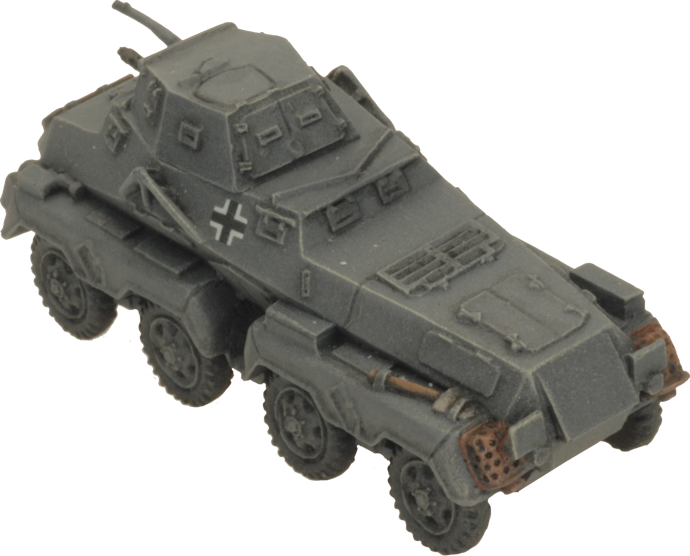 The eight-wheeled Sd Kfz 231 had excellent mobility and off-road capability, lending it to reconnaissance missions across treacherous terrain—terrain its smaller, four-wheeled cousins were unable to traverse. 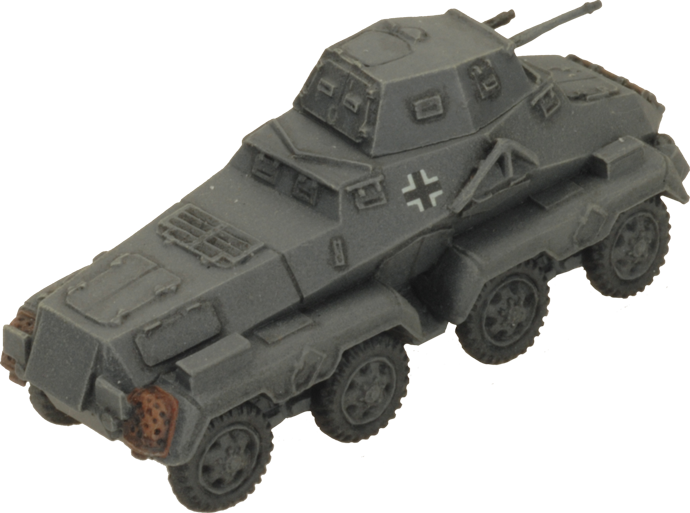 With heavier armour than the Sd Kfz 221 & 222, the 231 was not only employed to gather intelligence in arduous conditions, but also to break up enemy ambushes and engage light enemy vehicles and infantry groups ahead of the main combat elements.